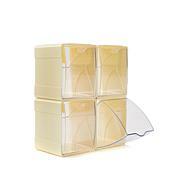 Maximize your efficiency with these stackable cubes. 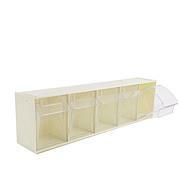 These transparent organizers are perfect for storing your glitter tape, embellishments, diecuts, and more! 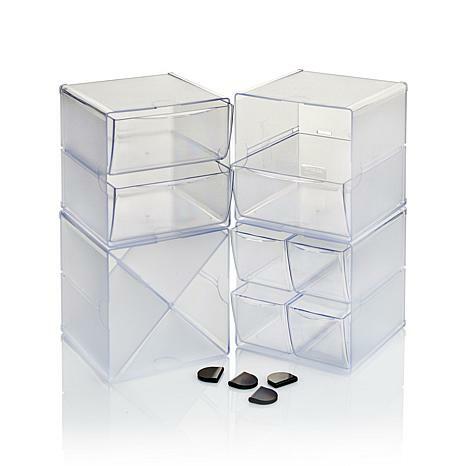 These cube storage bins can easily clip together to create your own customized space for craft supplies. It took me awhile to purchase this item based on price. I kept trying to see if I could get it cheaper somewhere else. I finally purchased it and still wasn't sold on it. When I filled it up that was when I knew that it wasn't going back. Had to write the review so if someone else is still on the fence about this product. It is worth the price. 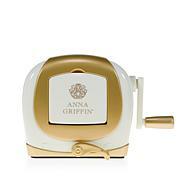 My extra Anna Griffin supplies fit and looks great. I was trying to organize the craft supplies that I use most often to be readily accessible. These storage bins are perfect for that. They hold a lot more than you would think. I like that they are clear for easy viewing and fitting in with any decor. I was going to take off one star because I think they are a little expensive, but since they are just what I needed, 5 stars it is. Deflector makes this for Anna. Its very high quality, hence the price point. They clip together and are perfect for arts & crafts items like pens. Love the little drawers. You can clip them into different configurations to fit your area. I like the configurations of the different boxes - drawers or cubbies however, I cannot get the clips to connect the boxes. I see the indentations in the boxes that show where to use the clips but there is no way these clips will allow the plastic from two boxes to fit. I hesitate to find some tool to open the clips wider to do this - shouldn't they have been designed to work 'out of the box'???? 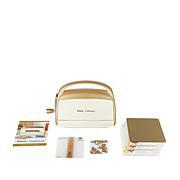 Keep all of your important crafting supplies at arms length with this all-in-one ivory and gold desk caddy! It's designed to fit your empress plates, file folders, cell phone, and charger so you craft all night without having to leave your creative space.